This is a beautiful, Georgian English antique mirror with a decorative, hand carved pine frame and still in the original gesso chalky finish. 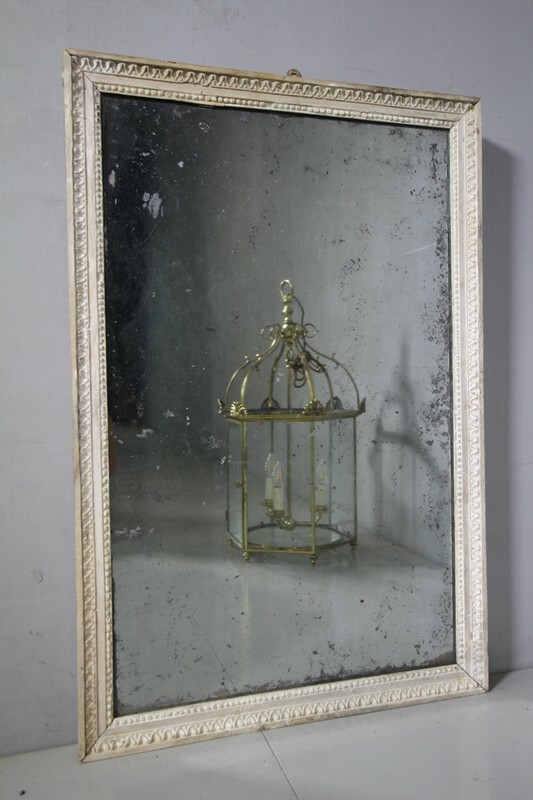 In very good condition, a lovely size and complete with the original worn mirror plate. English and dating from arond 1780.